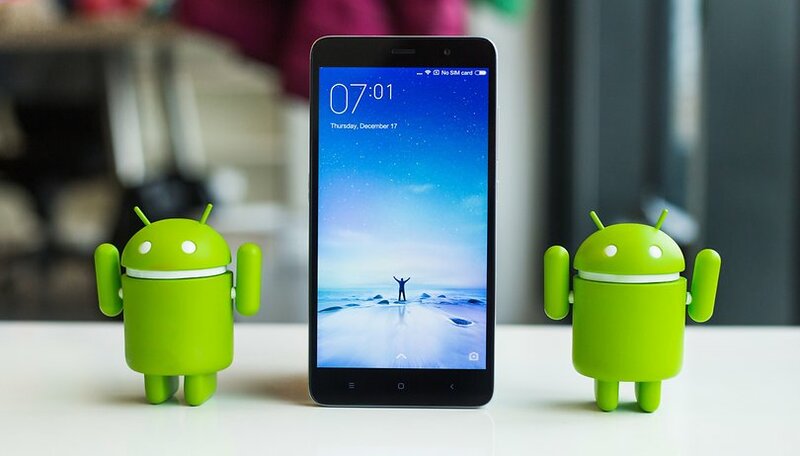 The Xiaomi Redmi Note 3 is a significant evolution for one of Xiaomi’s most important devices. It's much more elegant than previous generations of the phone, with a smooth aluminum finish, and a design philosophy that's sure to appeal to customers who want an attractive smartphone. Under the hood, however, it's more similar to its predecessor than appearances suggest. The Redmi Note 3 is on sale now in some online stores. In China, its price starts at about US$150 or US$180, depending on whether you go for the 16 GB or 32 GB version. US availability is currently quite low, although you should be able to get your hands on one through an importer, albeit for a slightly higher price. For more information see the Where to Buy section below. The big change in the Redmi Note 3 design is its aluminum unibody. This change in material has also had a profound effect on the device’s overall appearance; it reminds me a little of some Meizu smartphones. The length of the device has been reduced by two millimeters, while battery capacity has increased in comparison with the Redmi Note 2. The battery is no longer removable. Even with more features, its weight has only risen by 4 g. This is quite minimal, considering the increase in battery capacity and the new metal finish. Better ergonomics, the smooth metallic texture and an overall sense of ruggedness have given the Redmi range an overall feeling of quality. On the back of the phone, you'll find a speaker at the bottom, and a camera flash and fingerprint sensor near the top. There is a plastic element close to the speaker that prevents it from being completely muffled when the phone is placed on a flat surface. The buttons are also metallic and help maintain the Redmi Note 3's premium feel. They are on the right-hand side of the device and make it comfortable to use with both hands. Unfortunately, the design evolution has claimed another victim: the microSD card slot. Therefore, the Redmi Note 3 does not have expandable storage. Another design change that’s less dramatic than the loss of a removable battery and microSD card slot is the color of the capacitive buttons. Those on the first two generations of this phone had a very distinctive red color. In this third generation, they have become white. The front of the phone sees some quite simple changes. There are three capacitive buttons at the bottom, a front-facing camera at the top right and an LED for notifications, which can be configured to your liking. The Redmi Note 3 display is great for the price. It's an IPS LCD with Full HD resolution (1,920 x 1,080 pixels) and measures 5.5 inches diagonally. This gives it a pixel density of 403 ppi, which is excellent for a phone of this price. Brightness is quite good and colors are vivid. The biggest drawback is that there is no protection against scratches or scrapes. I liked the automatic brightness control a lot, although I usually change this manually. Apparently the glass covering the screen is polarized, so if you wear polarized sunglasses, you can only see the screen if you put the device in landscape mode. This can be solved by putting up a protective tempered glass, which is a good idea anyway, since there is no protection. The fingerprint sensor may not be that special a feature in high-end devices, but it is for a device of this price. The Redmi Note 3's fingerprint sensor works great, but unfortunately its role is limited. It does not include the release function trackpad as seen in the Huawei Mate S, for example. The device also has an infrared sensor at the top, but the international version does not come pre-installed with an application to control devices through this port, and the Chinese ROM only supports Chinese and English. Like other phones from this Chinese manufacturer, the Redmi Note 3 has Xiaomi's MIUI 7 interface, which is based on Android 5.0.2 Lollipop. There is an international ROM available for this terminal, which is what our test device came equipped with. It already included Google Play and several languages such as Spanish, despite the original ROM being Chinese. Despite being very different to stock Android, the MIUI 7user experience is quite pleasant. The appearance is highly customizable, allowing you to tinker with the lock screen, icons and widgets, as well as some applications. The Redmi Note 3 is equipped with a Mediatek MT6795 processor, called Helio X10, which has eight cores running at a maximum speed of 1.95 GHz. The model we tested had 3 GB of RAM and 32 GB of internal memory. The processor is the same processor as the one in the Redmi Note 2, but the Note 3 has 1 GB more RAM. Multi-tasking is good and supports various processes smoothly. The system has great fluidity, and games run with no notable problems. It also has an accelerometer and gyroscope to improve control in games. Its best score in AnTuTu Benchmark was in excess of 51,000 points. The overall performance of Redmi Note 3 is a little below that of the Lenovo ZUK 1 and closely matches the Nexus 5X. The main speaker is very powerful, although it is placed in a location that would normally be covered by the hand when you hold the device. Its quality is not the best but is quite acceptable. During calls, the sound is very crisp thanks to the second microphone. Within the Audio Tuning menu, there are advanced options for when you use headphones. You can configure the type of handset and enhance and equalize sound levels either manually or by using presets. The main 13 MP camera may be the Redmi Note 3’s biggest weakness. Image quality is acceptable under good light, but under low light, noise is an issue. Compared with other 13 MP cameras, this is behind the pack. The front camera has a 5 MP sensor. It’s good for selfies if the lighting is good, but don’t expect too much from it, just as with the rear camera. The battery capacity has been much improved over the Redmi Note 2. The Redmi Note 3 battery is 4000 mAh, 1000 mAh more than its predecessor. The result is that it can last more than 40 hours, and that the display will run for about four. One negative I see in this phone is its fast processing. With its huge battery, it needs to charge for around two hours and 40 minutes each time. This new generation of Redmi Note loses the microSD card and the removable battery, but greatly improves on design and generously increases battery size, compared with the Note 2. It’s a nicely balanced device that makes a few sacrifices in exchange for a few great benefits. The Note 3 is highly recommended, except for lovers of photography. It’s a smart device with a compelling feel and user experience. Performance is not incredible, but is more than enough for most users, and impressive considering the price. Xiaomi Redmi Note 3 - where to buy? Could u please tell me why mi App store is missing in my redmi note 3 32gb Snapdragon? Further to correct redmi note jas 16MP camera against 13MP.Had i been owner of xiaomi i would have prosecuted the person responsible for this review. Gone through this complete review.I am a recent buyer of this one and will assure all guys reading this review that this review is 100% false.This phone has a very decent camera.This phone processor being snapdragon is best.Antutu score confirms same.Particulary there is a projected image that camera doesnot work good in low light condition.I am amazed how this view even crop up? ?.Yes you cant imagine camera to work in all possible scenarios with default settings so with appropriate tweaking of provided different modes and using circular control of camera animation one can produce crisp and clear photos in low light situation also.This is best product and even high cost brands fail to match its quality. I am sure that this reviewer has some personal grudge against xiaomi which he is inflating here. I would say if your budget is 12 thousand INR go for this else go for none. The review is pretty accurate. Check the date of the review. The review's about redmi note 3 pro. You have redmi note 3 prime... so stop making a fool of yourself. Any Smartphone WITHOUT A REMOVABLE BATTERY & MICRO-SD CARD SLOT,is nothing but,a piece of hi-tech 'JUNK' !!! Wake up sucker manufacturers, again a great phone for a great price, and again NO micro SD, no removable battery, it's going DOWN, not UP...!!! I'm staying with my Redmi Note 2! The end. It looks like this is trying to compete with Samsung Note 3 but it has one thing missing where is the pen support? the pen is the best item of the Samsung note 3 but as this is less than half the price it should sell quite well. BUT YOU ONLY GIVE 3 AND HALF STARS.. The one downer for me is the lack of LTE band 28, 700Meg.. Good value for money though compared to the so called flag ship phones these days.. Thanks for the feedback, Rock! Then you got Xiaomi Redmi Note 3. Remi Note 2 does not have fingerprint sensor. Note 2 also has plastic back vs the metal one on Note 3. Note 2's battery is replaceable and has Micro SD slot that Note 3 does not.